The copyright is assigned for the year 1971 to Donald A. Wollheim and Terry Carr. "Printed in Germany 1975" and "Ullstein Buch Nr. 3148" is stated on the copyright page. Month of publication from Science Fiction Times #137. The stated ISBN is invalid. 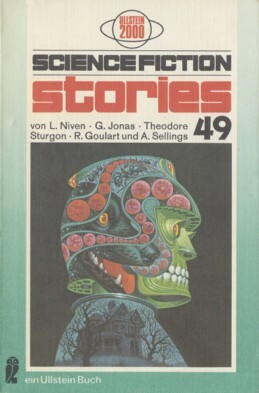 The cover art is credited on the copyright page to ACE/Roehling (Roehling being only the cover designer); the art credit was found via its parent title.